The first time that Ford Australia imported a batch of Mustangs to help stimulate traffic on dealership floors it was an utterly memorable event. Trying some 35 years later to repeat the feat proved a fiscal disaster. Ford in 1999 was headed for a horror patch due to criticism of its AU Falcon and adoption of the unloved Mondeo as a Telstar replacement. 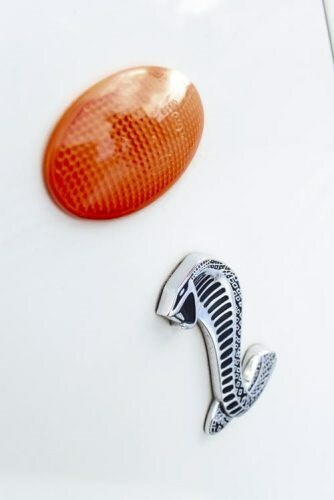 The brand’s Tickford Performance Vehicle subsidiary was accordingly handed the task of spending $4 million on adapting the 4.6-litre, 240kW Mustang Cobra to Australian conditions and regulations. Lurking somewhere behind the decision were memories of the boost in dealership traffic that occurred in 1966 when a batch of 48 Mustang coupés were imported (followed by a further 161) and right-hand drive converted for local sale. Most of the second batch had V8 engines but were available in such small quantities they posed no threat to V8 Falcon sales and perhaps whetted some buyer appetites for the forthcoming Falcon GT. 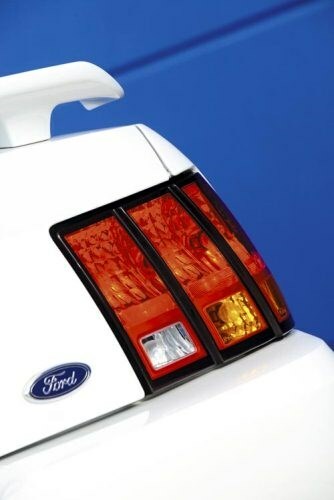 Move forward to October, 1993, and the release of a Mustang that departed radically from the chunky design that had existed with minimal change since 1979. At a time when US buyers were being encouraged to adopt front-wheel drive, the new Mustang still proudly pumped its power through the back ‘tires’. Up front the 3.8-litre V6 that hadn’t been seen in a Mustang since 1986 was back, but buyers still wanted the venerable 5.0-litre V8. The basic eight had 160kW (215bhp) but better breathing took the same motor to 178kW when installed in an SVT Cobra. V6 and standard V8 cars could be specified with five-speed manual transmission or four-speed automatic. The Cobra, developed by Ford’s ‘Special Vehicle Team’ was available only with heavy-duty T-5 manual transmission. Above them on the factory model list was the limited-production Cobra R – just 250 were made during 1994 – with 5.7-litre engines and 223kW. 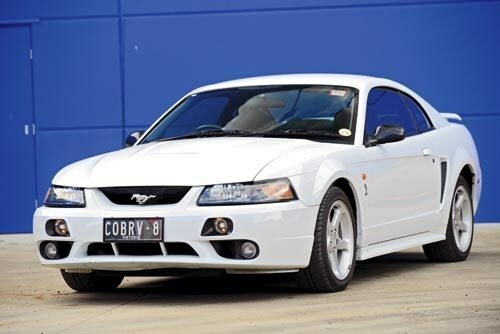 Ford’s most expensive Mustang cost $35,499 and the cheapest V6 coupé $13,355, so Aussies who wanted to privately import and have a car converted to right-hand drive were looking at a bill that could range from $60,000 to $100,000. The sleek new shape embodied a completely different structure, developed at a reported cost of US$700 million, and 80kg heavier than the car it replaced. More metal where it mattered delivered a 56 per cent rigidity gain to the coupé and a massive 150 per cent on the previously floppy convertible. New for 1996 was a 4.6-litre, single-OHC V8 with 167kW in basic GT form. By 1999 a double overhead-cam Cobra version was making a hefty 240kW and, with a tall rear axle ratio, capable of 258km/h. If that level of performance didn’t jingle your change, Mustangs of this vintage could be worked over by Saleen or the revered Jack Roush. These merit more than a fleeting mention but this time around we don’t have the space and will concentrate instead on the factory cars. From 1999 Cobra and R-spec versions moved further ahead of the basic Mustang by including independent rear suspension as standard equipment. This helped get the improved engine’s output to the road more effectively; especially from 2003-04 when a 290kW supercharged engine was fitted to the Cobra R.
By that time though, Aussie infatuation with Cobra imports had fizzled and now the only way to get one of these muscular Mustangs is to find a private import or head to the USA and track down a well-preserved example of the breed. 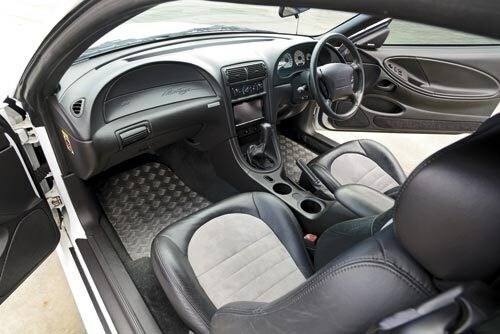 Adapting Mustangs to Australia’s market involved far more than swapping the steering wheel from one side to the other. Ford produced around 150 new components, reshaped the driver’s floor-pan and repositioned the engine to optimise overall weight distribution. 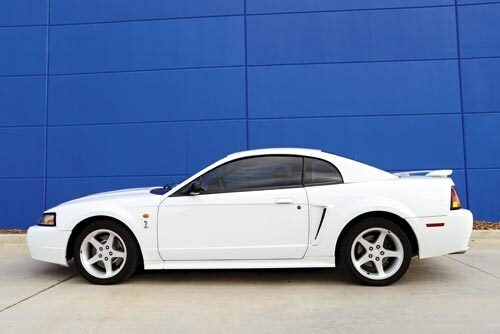 The Aussie Cobra went on sale in February 2001, with coupés priced at $85,000 and the convertible only $4990 more expensive. 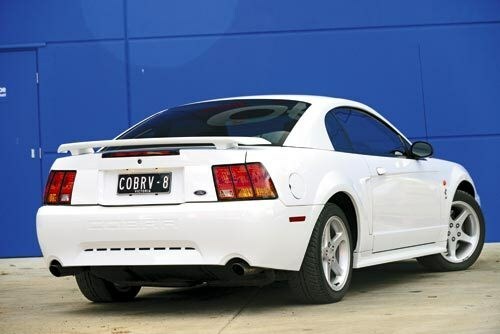 That made the fixed-roof Cobra dearer by $12,000 than HSV’s GTO Coupé, but Ford, with the advantage of a soft-top variation, had visions of moving them at a rate of 25 per month. Yet not even that modest target was achieved. In fact, the best annual tally was 135 cars moved during 2004 and probably with assistance from ‘run-out’ discounting. I can recall being quite excited when the opportunity arose for a brief burst in a nearly-new SVT Cobra coupé. I had driven plenty of pre-1974 Mustangs plus a 1980s convertible that rattled more than it rumbled so big things were expected. Sadly, my first impression once inside was of mild claustrophobia, pretty poor rearward vision and the ambience of a Toyota Supra. Considering that these cars when new cost $10,000 more than Tickford’s lavishly-equipped TS50 the underwhelming interior did – and continues – to disappoint. Conversely, the engine was outstanding and almost made up for the interior. Almost. It started easily and was ultra smooth with an easy clutch action and reasonable gearshift. Some testers described the T-5 gearbox as ‘truck-like’ but wasn’t any worse than the manual models being sold at the time with ‘HSV’ decals. Around urban streets the car sounded purposeful but didn’t ever get necks swivelling with a killer exhaust note. Apparently, when you find a stretch of deserted road and wind the 4.6 towards the red-line it really starts to howl. Given a relatively small capacity, the DOHC V8 does a fine job of generating and delivering performance. 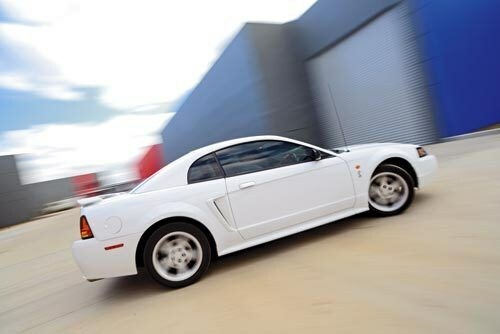 When tested by Wheels magazine in April, 2001, the Mustang flitted down the standing 400 metres in 14.7sec – a tenth behind HSV’s 5.7-litre Clubsport. 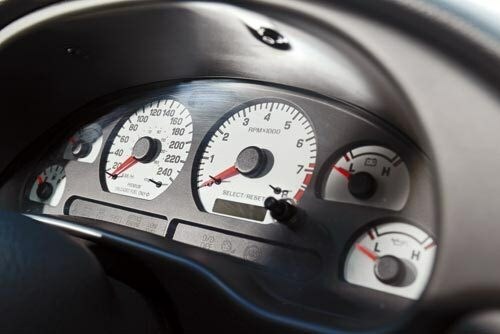 In mid-range acceleration it lost out by several tenths in every speed increment; primarily because ‘our’ Mustangs came with five-speeds in the gearbox and HSVs had six. Automatic transmission was not available to Cobra buyers either. If you go to the USA and grab yourself a 5.4-litre Cobra R with an extra ratio, acceleration does rapidly become earth-shattering. Think 0-100km/h in 5.1sec and 13.2sec for the standing 400m. In 2001, sadly, the ‘R’ spec Cobra would have cost $45,000 more to land here than a basic model so Ford avoided importing any. However, this is the one to choose if you want a truly muscular Mustang. The next quibble is with the wheel and tyre package used by local cars. Forty-five-profile rubber on neat 17-inch alloys seems more than adequate until you push the Cobra into a tightening bend. It feels way less confident than a performance-oriented Falcon of similar age. Interestingly, the owner of our featured Cobra coupé has acquired but not yet fitted a set of 18 x 10 Cobra R rims. These will accommodate lower-profile 285mm rubber and calm any qualms about tyre grip or performance. Family members, providing they are young and like riding with the roof down, will love your Mustang convertible. Even the lower-cost V6 cars look great and make interesting family transport. During July when we checked a variety of sales sites there were almost as many V6 Mustangs in the market as V8. Should you be interested in impressing the neighbours/workmates or antagonising former Facebook friends, hopping aboard a 3.8-litre ’Stang isn’t an expensive exercise. Excellent cars from the mid-1990s are available for less than $20,000 and high-kilometre examples will likely dip to $12,000 before finding a buyer. V8s that are priced in the high teens represent bargains and sell quickly. Then come cars whose vendor is seeking $15-25,000 more than the mainstream offerings. They need to be in significantly better condition and usually have room for ‘negotiation’ before a selling price is reached. Cars with complete histories – and here I don’t exclude those from the USA that come well-documented – are the ones to own. These Mustangs haven’t as yet generated any collectability but the potential is there. The romance of owning a 1960s Mustang may appeal to many people but for Gus Dalfarra it was a case of "Been there, done that. Now for something civilised". 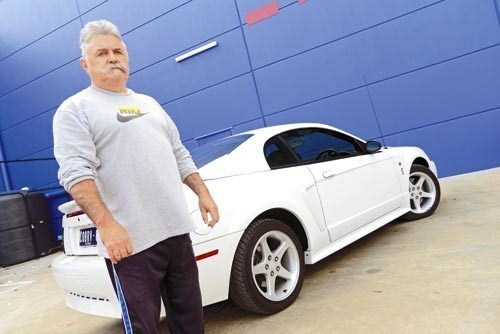 Four years ago when Gus spotted his Mustang Cobra it was a pampered one-owner car that had travelled about 43,000km from new. And Gus was looking for something different with creature comforts. "The older Mustangs are nice but I wanted something that worked without fuss and came with lots of modern conveniences," he said. "This Mustang still turns heads like an old one did and performs really well but it comes with things like ABS and traction control, nice seats and power steering. If I want to take a run for a couple of hundred kays from Melbourne up to Echuca I just go and don’t worry about whether I am going to strike trouble with the car on the way." 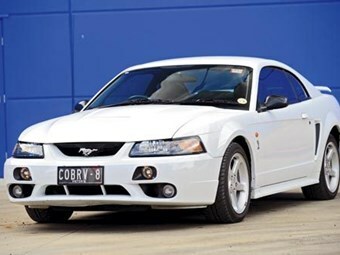 Having travelled just 3000km extra during his term of ownership, Gus has the Cobra up for sale and is hoping for a buyer who will maintain its pampered existence. "I looked hard to find a really good car and have tried to keep it that way," Gus explained. "If somebody wants a really good, unusual performance car then this might be it." If you think it might be too, call Gus on 0439 319 014. Excluding legacies of poor smash repairs, Cobras delivered new to Australia and properly maintained should not be suffering from rust or any major deterioration. Those that spent a few years on icy roads in northern areas of the USA before being exported need proper underbody examination. There seem to be few reports of problems with the convertible roof mechanism but test it a few times looking for shuddering or signs that something isn’t moving freely. Fluid on parts or an oily odour when the roof is being operated indicates a leak somewhere. V8 or six-cylinder engines used in these cars are simple and durable. The majority in our market will have the 4.6-litre V8 which suffers few problems providing basic maintenance tasks are performed. Six-cylinder engines can suffer misfires due to failed coil-packs. Intake manifolds fitted to some early 4.6-litre cars could crack and leak coolant. Cars with air-conditioning need specialist inspection to ensure it is still working effectively – the coupé would be very unpleasant in summer without A/C. Automatic transmissions are tough but don’t last indefinitely, so slurred up-changes and clunks coming down are signs of an impending overhaul. Nothing too scary here and parts are still easily found. It may pay, however, to check with your local dealer in case components unique to RHD Mustangs have been de-listed or are costly to acquire. Inner-edge tyre wear can go un-noticed until the car’s expensive rubber is overdue for replacement so look especially at the rear for scuffing caused by poor alignment. Listen for rear end clunks when negotiating speed humps and be wary of front-end vibration and noise from the power steering when approaching full lock. These Mustangs weren’t cheap to buy but they were cheaply built and almost 20 years of Aussie sun may have fried interior plastics. Even cars that have been kept sun-free can have loose, rattling dash components and disintegrating seats. Make sure the electric windows move smoothly in their guides. 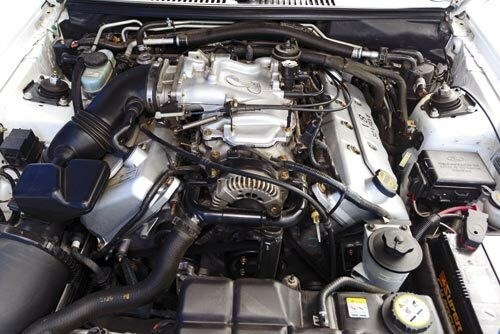 Engine: 3797cc V6, OHV, 12v; 4942 or 5766cc V8, OHV, 16v; 4601cc V8, DOHC, 16 or 32v.Supercharger on some.